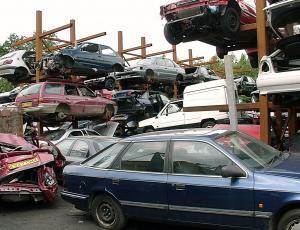 A used car dealership in Staffordshire has been ordered to remove vehicles it has been storing in a council car park. Alridge Commercials in Bridgtown was told by Cannock Chase Council that they have until 12 January 2015 to take the cars elsewhere. The vehicles in question are said to be at the “end of their life” and are being kept for scrap parts, the Express and Star reported. Storing cars in residential car parks will not only anger councils, it will also cause problems should a car dealer wish to insure the vehicles; a motor trade insurance policy can provide cover for cars and parts stored at a business premises but this protection will not be valid if they are kept at a different, non-commercial site. The car park is located in the same industrial area on Progress Drive as Alridge Commercials. Councillor Eddie Smith called the dealership’s actions “irresponsible”, adding that it “degrades the area”. The councillor described it as “unfortunate” that the council does not have the power to remove the cars itself, instead having to issue warnings so that the business clears the vehicles. After an initial warning by the council’s Environmental Protection Team some of the old cars were removed but the problem has persisted.